You can write a summary for the Pontifex here. Further information about additional or recommended skills to pilot the Pontifex for a specific or its common role(s) can be written here. To be used in small-medium hull size fleets with many ships and other CDs. To be pre-locked by logies. For WH replace link with a Cloaking device. In the case of CPU limit, replace MWD or Scram with the Compact one. To be used in small-medium hull size fleets. In case of CPU limit replace MWD with the Compact one. As with other ships in this class, the micro jump field generator can jump all ships within its target range 100km in the direction they are facing. This could be used to great effect in large scale battles against enemy logistics wings, scattering them across the grid and significantly hampering their ability to repair. 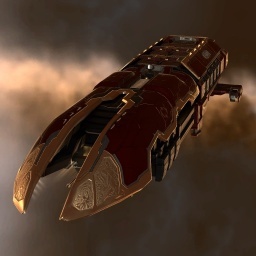 The command destroyers were added in the December 2015 patch, sometimes called the Frostline patch. This page was last modified on 29 April 2017, at 19:41. This page has been accessed 34,860 times.